This exhibition coincides with the UK 2010 general election. Rachel Tweddell has taken a cross section of British newspapers from each day of the week leading up to the election. 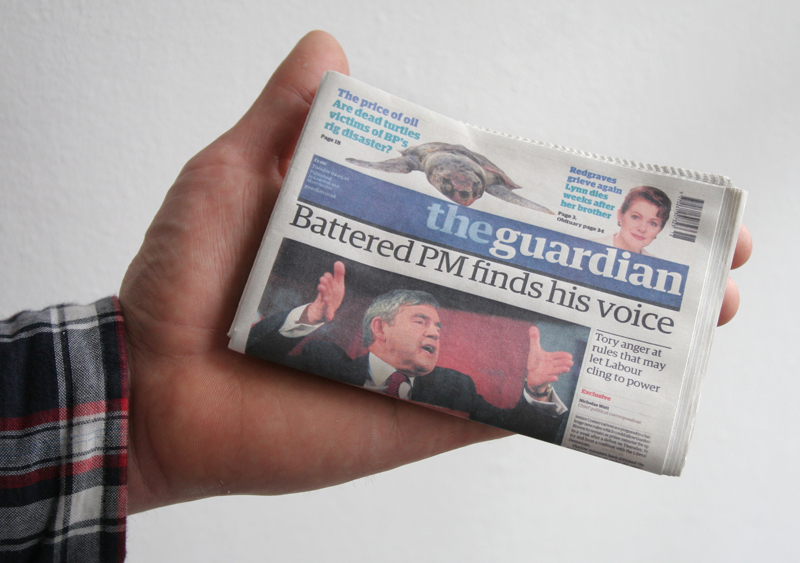 The newspapers have been remade so that they become progressively smaller as they move further into the past; the Monday editions are small enough to fit into the palm of a hand. The show opens on the day the election results are announced and at this point the piece moves from exhibition to event, as the newspapers from this day are presented at actual size and only come into existence on the day of the opening. 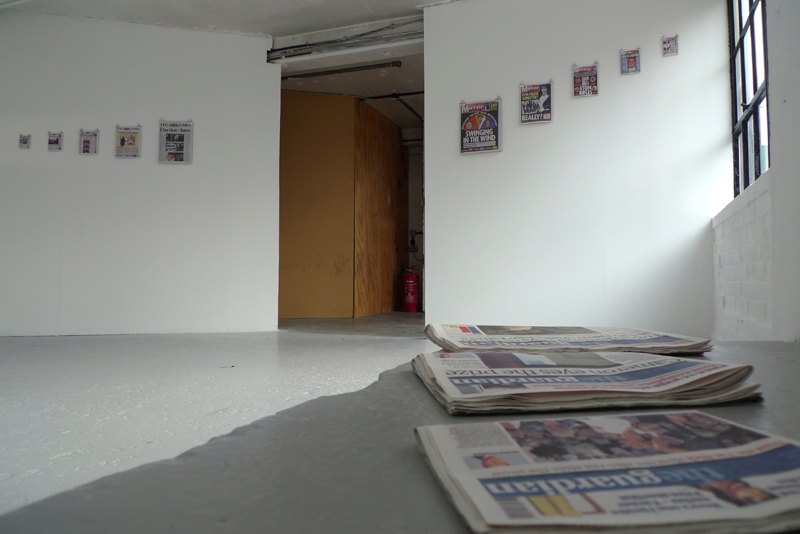 The work is an experiment in the representation of a dramatic event, in which the rules of perspectival space join forces with the different political perspectives of the newspapers in an attempt to capture something unpredictable at the moment it happens. At the point the show opens the event will be a dominant national talking point, more in the air than on the walls, and the conversations of the people gathered together at the opening will form a parallel real-time soundtrack to the work presented.